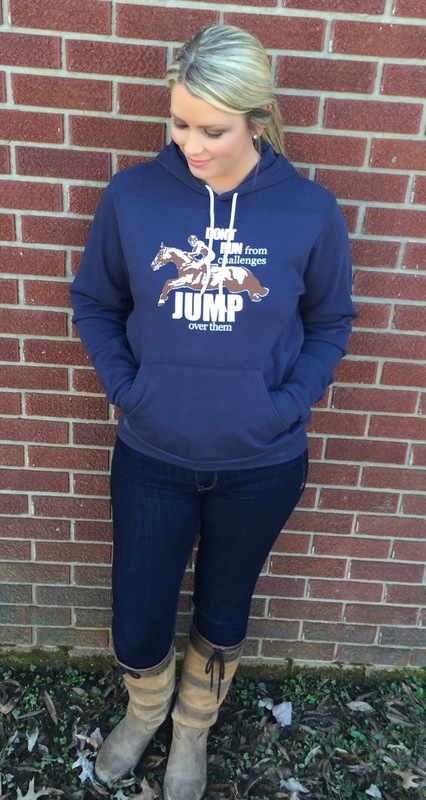 Equestrian Creations is a new business specializing in horse-inspired apparel designed to easily transition from the barn to the street. 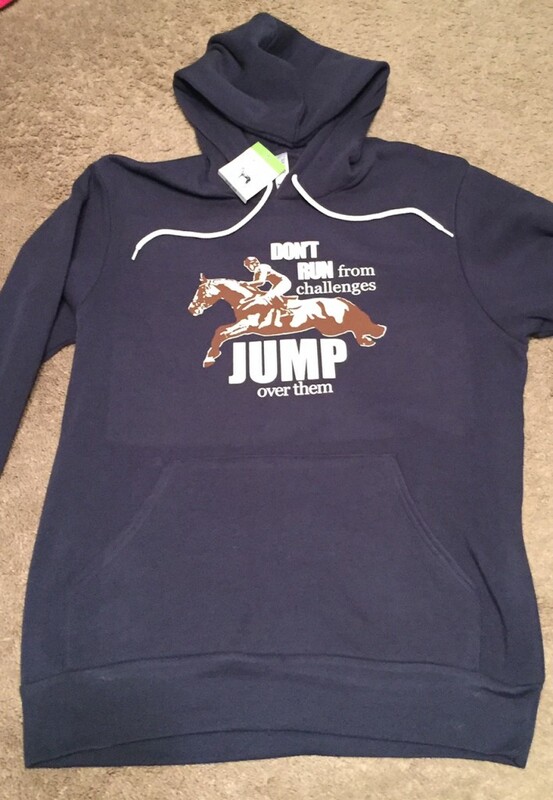 They offer baby onesies, tees, and sweatshirts with fun equestrian themes in youth and adult sizes. 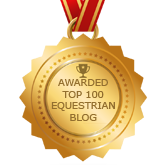 Each piece is designed by creator Cassie Holmes who has a background dedicated to graphic design and equestrian artwork. 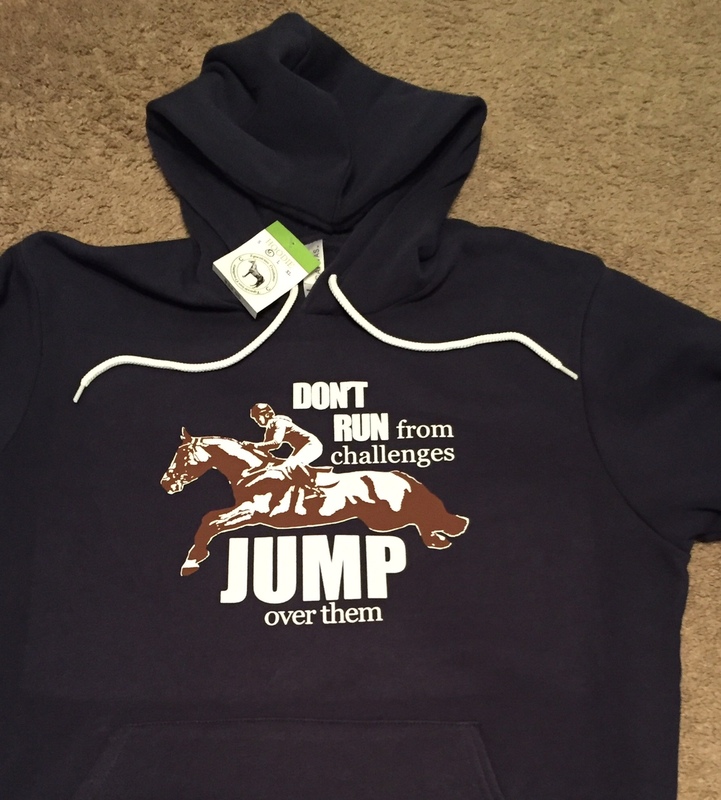 I was very excited to try out the Jump Over Challenges Hooded Sweatshirt because as it suggests – equestrians face challenges head on! 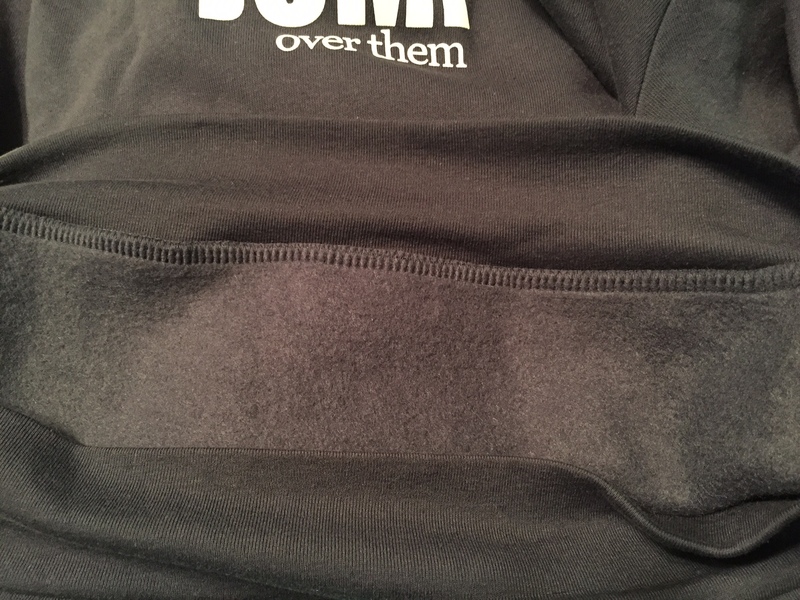 I liked the screen printed design itself as it is clean and interesting and shows up well on the sweatshirt. My favorite thing about it is how comfortable and soft it is! I don’t know if I’ve ever put one on that is as soft as this one is. It’s completely amazing. This will quickly become your favorite sweatshirt to throw on to hang out at the barn or to head to class. The fit was fabulous also. I’m wearing the medium, and it’s perfect. 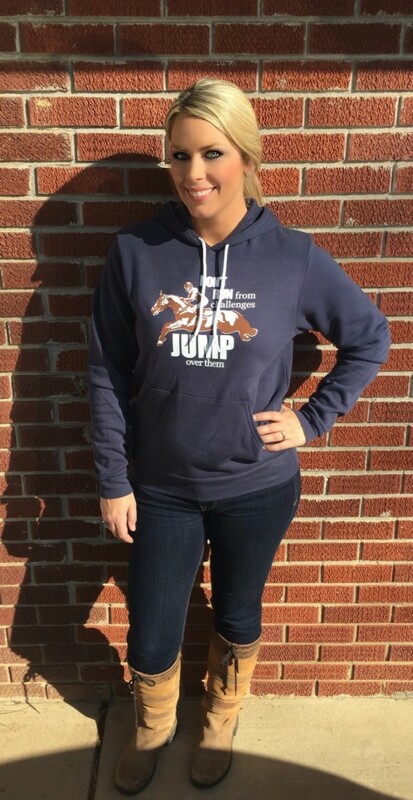 This sweatshirt is available in gray, navy, or black in sizes small through x-large and is priced at $39.50. You definitely need this one in your closet! 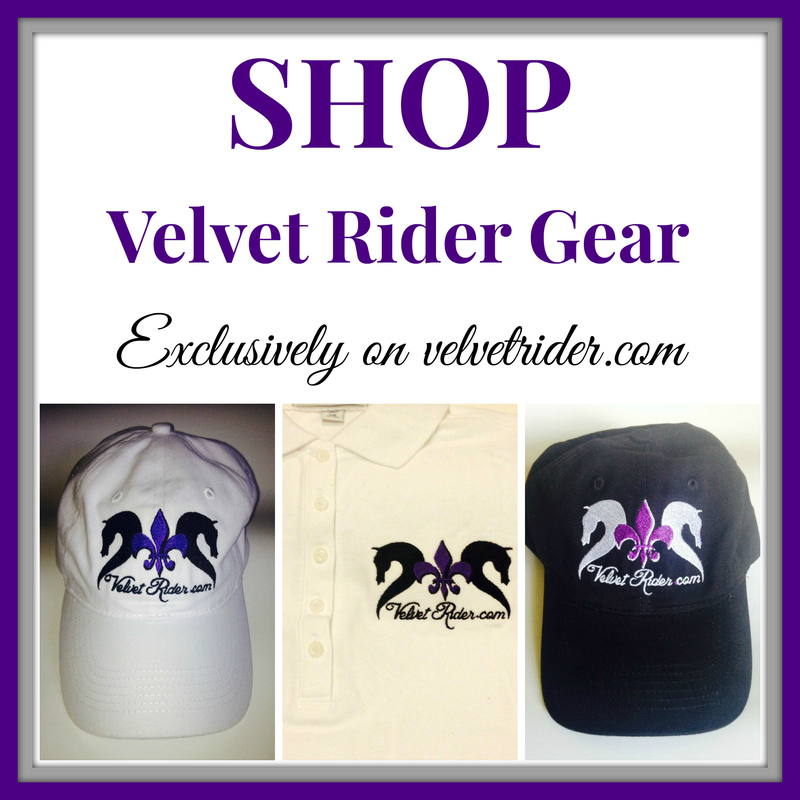 Another aspect I love about Equestrian Creations is that they are made in the USA. 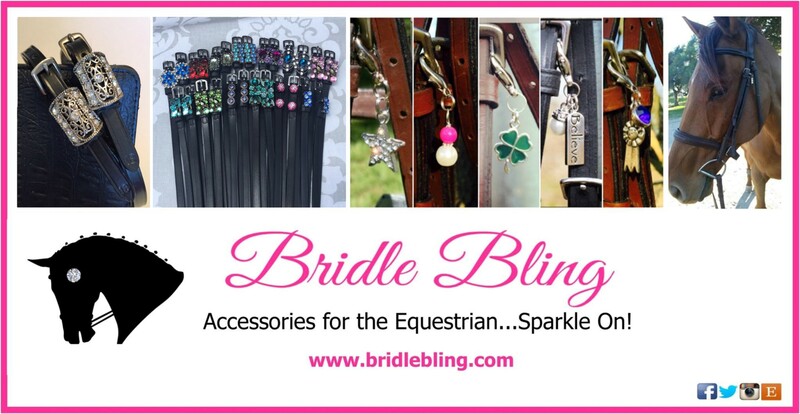 New designs are always in the works so keep an eye out for items with dressage, eventing, and Arabian themes. 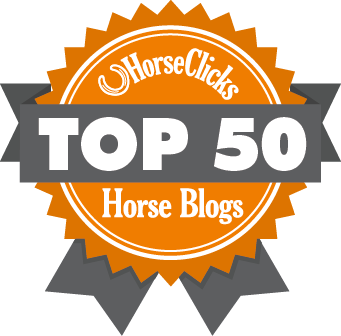 They also offer custom apparel and you can contact them for barn and team apparel. 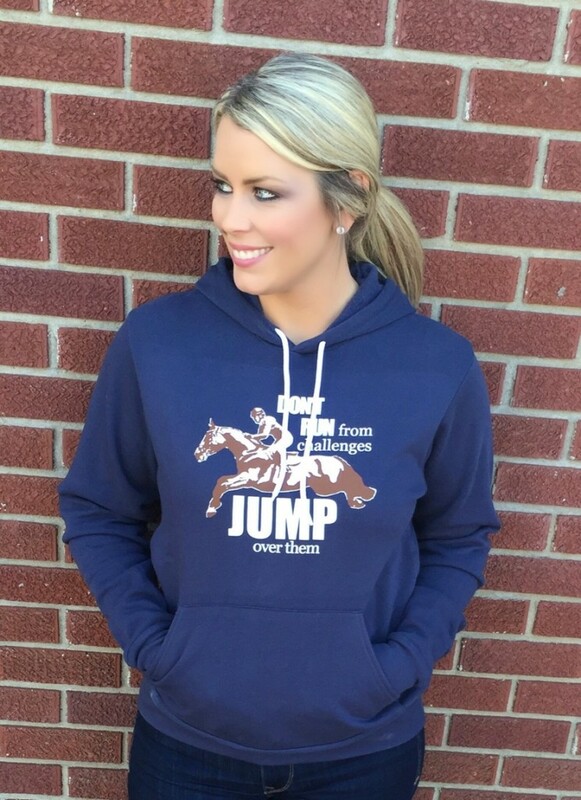 Head over to Equestrian Creations to pick up this sweatshirt and check to out their other designs!